When I was little, my father would permit no animals in the house as pets; outside of turtles, fish and parakeets. I loved every single sad little turtle, chirpy little bird and silent swimming fish with a fierce devotion and passion. I yearned for a dog. I longed for a cat. It seems I was born loving animals :)! I often felt very sad that I wasn’t allowed to have them. Then one summer, a little feral kitten changed that. It was one of those summers that just brimmed with expectation! We had an old yellow glider swing on our back patio and each day at dawn I would crawl into it and just revel in the magical summer mornings. On one of these mornings I heard a tiny mew and spied a little grey wisp of a kitten in the nearby Lilies of the Nile flowering on the sides of our patio. We stared each other down for a bit and then she came a bit closer. I sat very still. Before I knew it, she had hopped up on the swing seat beside me. That began my summer with Cacao (as I soon named her) the cat. We began a ritual of morning meetings and eventually she let me pet her and hold her. Sometimes her feral nature would get the best of her and she would, out of the clear blue, hiss, scratch me and run away. But I never minded. For that summer, I knew all the joy and love a little cat could bring into one’s life. I experienced the wonder of being trusted by a wild creature. When summer was over and I had to go back to school, Cacao and I still had our “rendezvous” but they grew more and more infrequent. I still couldn’t wait for mornings to spend a few minutes with her and even after school she would come around. Until one day, she stopped appearing. After a few days I felt sad, confused and somewhat abandoned. It was then my mother finally found the courage to tell me that Cacao had been found in the street…run over. In my home, one was not really allowed to show tremendous emotion, so I retreated to the old yellow glider to grieve alone. My tears were the ferocious tears of a child who experienced its first acknowledged loss. But also of a child who had experienced the wonder of the love between a human and a critter. 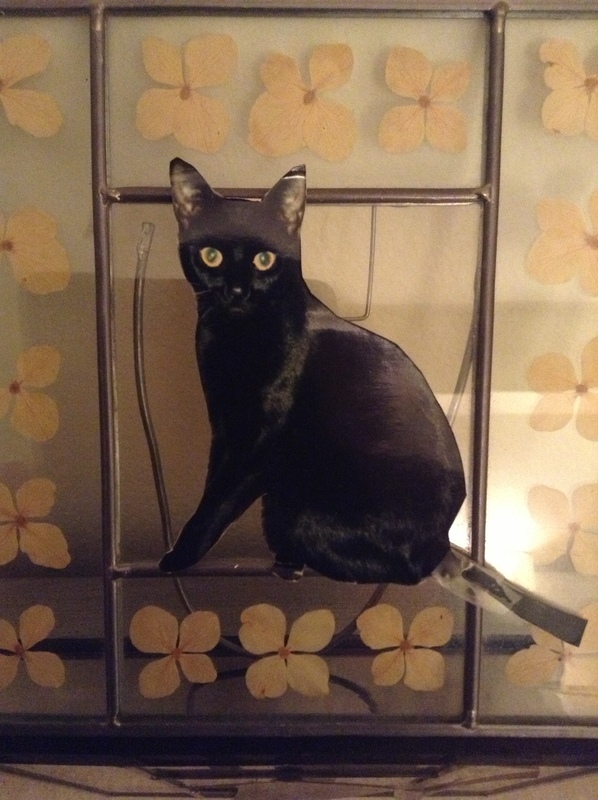 The next cat to grace my life, Regina della Notte (Queen of the Night), truly became my “mostly companion” and ersatz soul mate. Adopted from the ASPCA which at the time was a “kill shelter”, I guess I saved her life. But truly, she saved mine. She taught me many lessons by just being herself. She traveled with me everywhere. She had a strong personality and a depth of caring. She was also, in her early years, the “fastest paw in the West” 🙂 as she could take out a fly with a single swipe. More about her in a moment. I save the last bit of my “tail” to describe how as gracefully as my soul mate, Regina lived and, by example, showed me how to live; so, with dignity and grace, she died. About a year before her death, she became very tender with me. Most of those mornings she would crawl up into my lap as I sat in my wicker rocker looking out at the river and I would hold her as we just rocked quietly for lengthy periods of time. She began a nightly ritual which I named “the circle of love” where, when I went to bed, she would crawl into my encircling arms and just be with me for a few moments before retiring to her favorite spot at the end of the bed. She also started creating a “land” under my bed which consisted of much cat-torn cambric making hammocks and drapes in the shadowy space. Sometimes, when I couldn’t find her, she would be there, just lying quietly. Of course, I had no idea she was to die that year. She was aging, yes, but she was aging beautifully and healthily. She had some minor issues but all were fixed with a vet visit. And she was fine all that year until one day…she wasn’t. On a Sunday morning, I got up and noticed her hind legs were weak and sort of seemed creaky. Bacon was always a good inducement to activity but this morning, even bacon was not getting the job done. First thing Monday, I got her to the vet ( he was a total cat man) and he hospitalized her immediately suspecting kidney failure. Each day, I would visit her. She was sweet and quiet, yet on her cage was a sign warning the techs “Dangerous Cat”. I had to laugh because I knew that my little Queen of the Night was not taking kindly to this place and obviously had enough left in her to be “dangerous”. At the end of the week, the vet told me he had done everything possible and that I could take her home with meds and instructions for intravenous liquids to keep her hydrated. She retreated to “The Land that Regina Created” under the bed and I would periodically bring her out and carry her into the living room for some cuddles on the couch. She could barely move. The next morning, I found her under the bed with her face in the bowl of water I had placed there, breathing shallowly. It was Memorial Day weekend and I couldn’t reach the vet. I still refused to believe she wasn’t going to pull out of this. I placed her in the wicker rocker and we sat together that day as I waited, in vain, for her breathing to return to normal. I made a little tent for her under the piano bench and put on a CD of Kiri Te Kanawa singing the “Four Last Songs” of Richard Strauss, which seemed to relax her a bit. When the CD finished, she wanted to leave the tent. I tried to prevent this. But my darling cat, who could no longer walk, picked herself up and resolutely power marched down the hall into the bedroom and back under the bed. I checked on her every few minutes. The one time I was gone for more than a few minutes was the time she chose to cross over the rainbow bridge. She had stayed with me in this life long enough to see my career established, settled in a lovely apartment, beyond a difficult trial situation and living with a man that I loved deeply. She “grew me up”. That glorious cat chose to die in her own way, in her own time, with dignity… with quiet strength and grace. I will forever thank that good vet who let me bring her home. She stayed well enough while in the hospital that I didn’t have to make the egregious decision to put her down. She spared me that. And she spent the last year of her life, preparing herself and preparing me with all the tenderness and love she could muster. I only pray that I can use the lessons of her dying when my own time comes. This entry was posted in Cats, Lessons Learned From Animals and tagged Cats, Love, Miracles, The Little Red Lighthouse. Bookmark the permalink. A Lovely post; clearly it was a story tugging at your heart strings to be told. So now that you have told it and put it down on paper, how does it feel like? So as you think back to that little feral kitten all those years back, what else could you have done? Hi Shakti, I so appreciate your comments. Yes, the story was tugging at my heartstrings. It needed to be told and the time was finally right. I feel wonderful having put it down on “paper” 🙂 As for Cacao, the feral cat, I don’t worry about what I could have done. I sit with gratitude that this little creature trusted me, loved me and taught me. I am grateful for all the lessons we learn from each other as humans and from the beautiful animals that surround us. Hope all is well with you. It was wonderful to hear from you! Thank you so much for this comment. This is a story I held close in my heart for 13 years so to hear your response makes me feel wonderful! Thanks again! 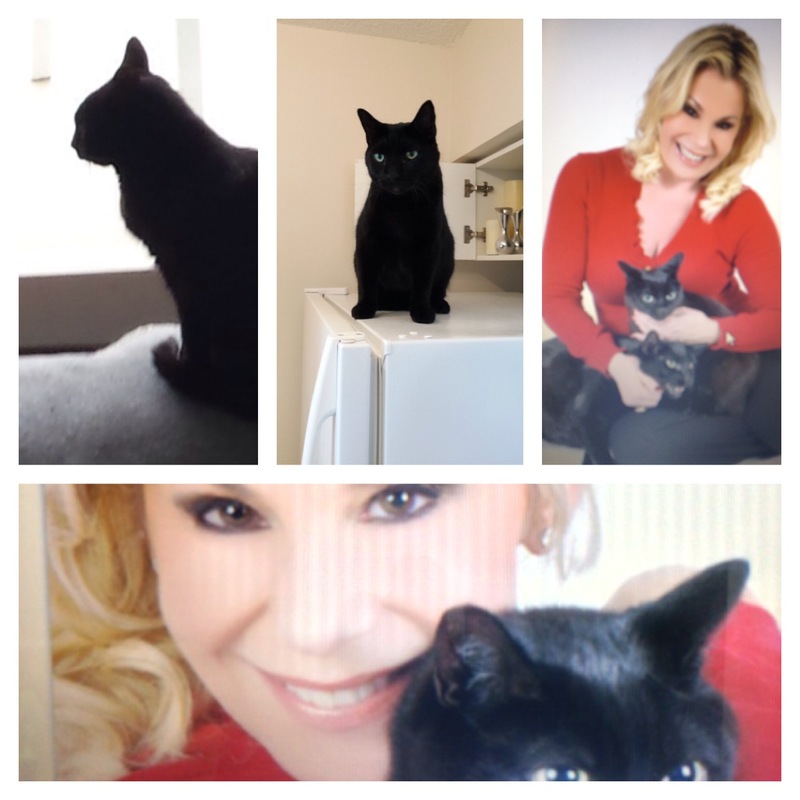 While reading this story I thought of my Thomasina (beautiful black furry cat). It reminded me of our journey that lasted 14 years. I had never cared for cats before her. She made me love her. She caused me to change (for the better) in so many ways. She too was a queen. She passed away in my arms Nov 2012. That’s the hardest thing that has ever hit my heart. She took a huge part of me that day. My heart has done some healing because I have other kitties that need my love and care. One of them even has her personality! Thanks for sharing your story.